Ok, so this is the time of year that I sign up for a whole bunch of challenges that usually fall to wayside about May - but I always have good intentions! They have become like my New Year's Resolutions - and every year I say this is going to be the year that I stick with them - so without further ado - here they are. 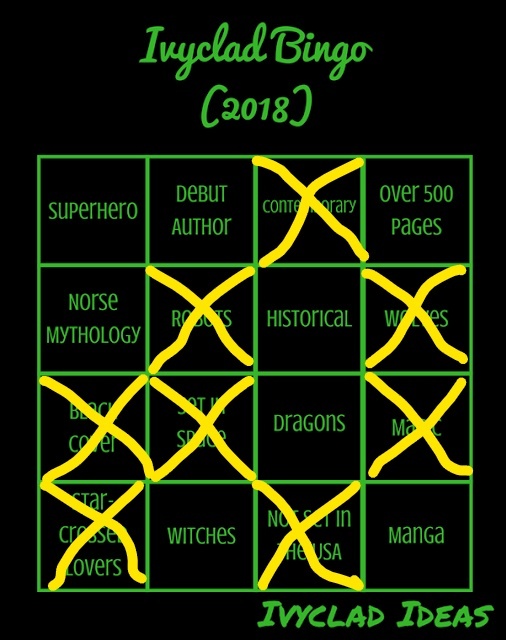 I found a HUGE list of challenges at Feed your Fiction Addiction so I attribute my picks to Nicole. To see all of the challenges that she has found - go to this post. I assure you, there are many many more than those I have chosen to participate in below. 12 Months, 12 (or 24) Covers @ The Hufflepuff Basement on Goodreads – Read books with certain items on the covers. Color Coded Challenge @ My Reader’s Block – Read books that feature a specific color in the title or where the color is dominant on the cover. 3. A book with "Yellow" or any shade of Yellow (Gold, Lemon, Maize, etc. )in the title/on the cover. 5. A book with "Brown" or any shade of Brown (Tan, Beige, Sand etc) in the title/on the cover. 7. A book with "White" or any shade of White (Ivory, Eggshell, Cream, etc)in the title/on the cover. Monthly Keyword Reading Challenge @ My Reader’s Block – For this challenge, there are six keywords associated with each month in 2016. 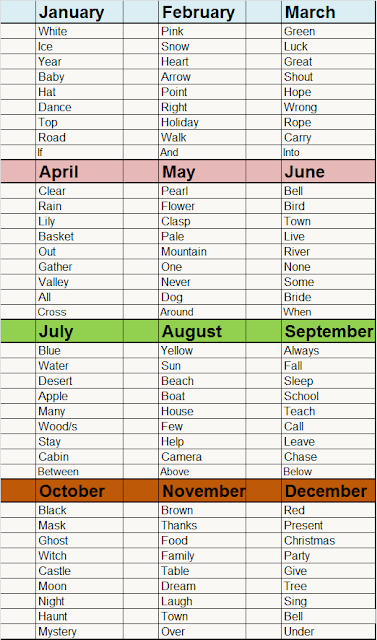 Your task is to read one book each month whose title includes one or more of the keywords for that month. Alphabet Soup Reading Challenge @ Escape With Dollycas Into a Good Book – Read books with titles from every letter of the alphabet. Alphabet Challenge @ The Hufflepuff Basement. What’s In A Name Challenge @ The Worm Hole – Choose a book to read from several categories (click on the link to see them). Literary Escapes Challenge @ Escape With Dollycas Into A Good Book – Try to read 1 book set in each of the 50 states + the District of Columbia. There will be prizes, which will be announced later. I will be keeping track on a Google Map here. Popsugar Reading Challenge – A checklist of 40 different categories of books to read! Download the printable list here. Literary Pickers Reading Challenge @ Delighted Reader – A scavenger hunt style romance book challenge where you see if you can find a list of items as you read. Can use romance books or any book with a strong romance. The Les Misérables Chapter-a-Day Read-Along @ One Catholic Life – Did you know that Les Mis has exactly 365 chapters? Read a chapter a day and get the book read in 2018! I have always wanted to read this book, but have found it quite daunting, so am excited that I found this Read-Along. 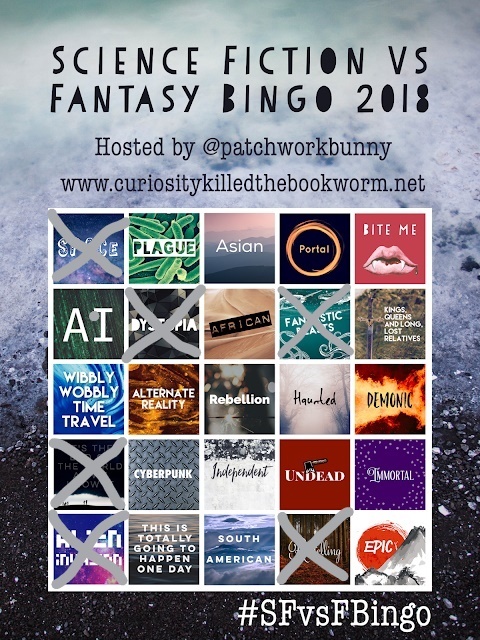 Science Fiction vs Fantasy Bingo @ Curiosity Killed the Bookworm – This fun challenge has a giveaway on the sign-up page and may have more throughout the year. Picture Book Challenge @ Becky’s Book Reviews – Read at least 6 picture books, with an optional checklist of categories. 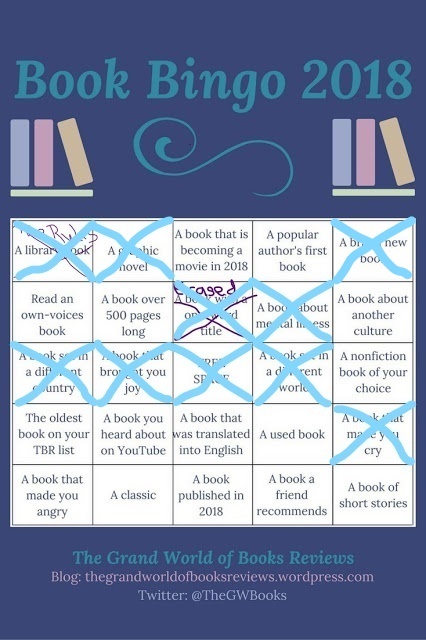 Book Bingo Reading Challenge @ Fundamental Children’s Books – A Bingo-style challenge that works with picture books or chapter books. There will be a (reportedly huge) prize pack giveaway. 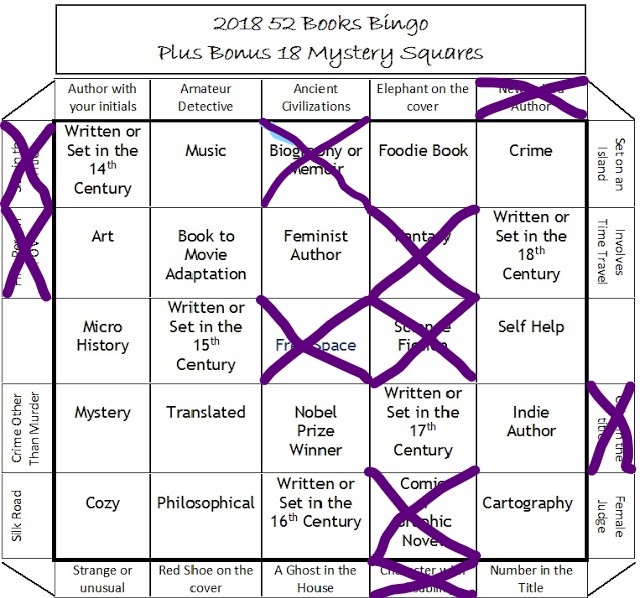 I didn't post the bingo page here, as they would like you to sign up to receive the Bingo page. The Second Star Society @ The Frozen Book Blog – This challenge is being run as an online book club. Each month you will read a retelling of a particular classic. You can either read the “official” retelling for that month or any other retelling of the classic. Review Writing Challenge @ Delighted Reader – Let’s get those reviews written! I would like to write at least 1 review a week. . .
2018 New Release Challenge @ (un)Conventional Book Views – Read and review books released in 2018. Link up quarterly for the giveaway! Debut Author Challenge @ That Artsy Reader Girl – Read books from 2018 debut authors! There is a bi-annual giveaway. Audiobook Challenge @ Hot Listens & Caffeinated Book Reviewer – Listen to audiobooks! There will be two giveaways during the year. What an Animal Reading Challenge @ Socrates’ Book Reviews – Read books that involve animals in some way. Witches & Witchcraft Reading Challenge @ Melissa’s Eclectic Bookshelf – Any full length book that includes a witch as a main character or includes major witchcraft elements counts. They may be fiction or non-fiction. There will be a giveaway at the end of the year. Share a Tea Reading Challenge @ Becky’s Book Reviews – Love drinking tea while you read? This challenge is for you! Reading Challenge Addicts 2018 @ Reading Challenge Addict – Enter and complete reading challenges! Newbery Reading Challenge @ Smiling Shelves – Read Newbery and Caldecott books! Book to Movie Reading Challenge @ Gather Together and Read – Read books that have been/are being made into movies and TV series!